With Google's total commitment, the launch of Apple's first wearable in April and mindblowing advances in VR technology, wearable tech is set to be part of a seismic shift in the consumer tech landscape. As with any major gamechanger, the business world is now exploring how it can take advantage of this new world of connected tech to improve the wellbeing of workers and increase profits. From smartglasses and smartwatches to augmented reality and fitness trackers, businesses have a lot to gain from wearable tech. A study titled The Human Cloud At Work (HCAW) A Study Into The Impact Of Wearable Technologies In The Workplace by Goldsmiths, University of London, concluded that employees, on average, were 8.5% more productive when using wearable technology and 3.5% more satisfied in their work. "The results show that organisations and employees need to be developing and implementing strategies for introducing and harnessing the power of wearables in the workplace," Dr. Brauer, the report's author, concluded. But how? Wearable tech in the workplace isn't just the stuff of studies and conjecture. At its gargantuan distribution centre in Ireland, UK supermarket giant Tesco tracks its workers using connected armbands with small 2.8-inch displays. Tasks are allocated to workers on the floor, and users are nudged if their orders are short, boosting efficiency at every turn. Similarly, German startup ProGlove, one of the winners of Intel's Make It Wearable competition, has created a smart glove for workers in automotive manufacturing. It saves time, allows managers to track overall progress and offers a kind of "third hand" to employees. It's not just time efficiencies either. There are 30 Fortune 500 companies using Fitbit activity trackers to promote healthier lifestyles among their workers, challenging employees to complete team and collective goals, to boost team performances and enjoy the benefits of a fitter workforce. "The advent of virtual and augmented reality devices could have potentially enormous implications in a business environment from virtual teleconferencing to customer service and staff training," said Andrew Pert, Show Director of GITEX Technology Week, a Dubai based trade show. The rise of VR in business has already started. Back in January, Audi announced plans to let its customers virtually check out their car customisations using VR technology, in its showrooms. Another British built system uses Oculus Rift to train army medics to treat injuries under fire, in a simulated environment. What's more, a project funded by the MOVEO Foundation captured live surgery, enabling trainee doctors to watch procedures first hand, as if they were present at the operation. Google Glass may be gone for now, but the next generation is mindblowing. The Jins Meme specs use EOG electrodes built into the frames and nose pads as well as sensors to track the wearer's eye and body movements. Part Google Glass, part Oculus Rift the HoloLens headset has its own CPU and GPU on board to create experiences using "holograms" for the real world. The Attach accessory clips onto any regular specs. It features a 0.23-inch OLED single lens display, with a 640 x 400 resolution. VR isn't the only eyewear revolutionising the workplace. Smartglasses are increasingly being seen as a way of helping employees. A report in the Harvard Business Review revealed that workers check their smartphones more than 150 times a day. This simple yet ultimately time wasting process of pulling out a phone, unlocking only to find the alert wasn't actually urgent can be replaced by what the HBR call "microinteractions". Smartglasses can aid those who need to use their hands as well, putting information in front of the eyes. It has been adopted in consumer facing roles such as greeters at Virgin Atlantic first class lounges, where passenger's information is flashed in front of staff member's eyes via Google Glass, so they can offer that personal touch. With improvements to be made in training, efficiency, job satisfaction and wellness, wearable tech should be on everyone's agenda not just early adopters. New devices, such as the Apple Watch, are going to converge a lot of these technologies into one device, as well as enable businesses to create their own bespoke apps for their workers. As the Apple Watch nears its release, it seems the business world is lagging behind consumers. 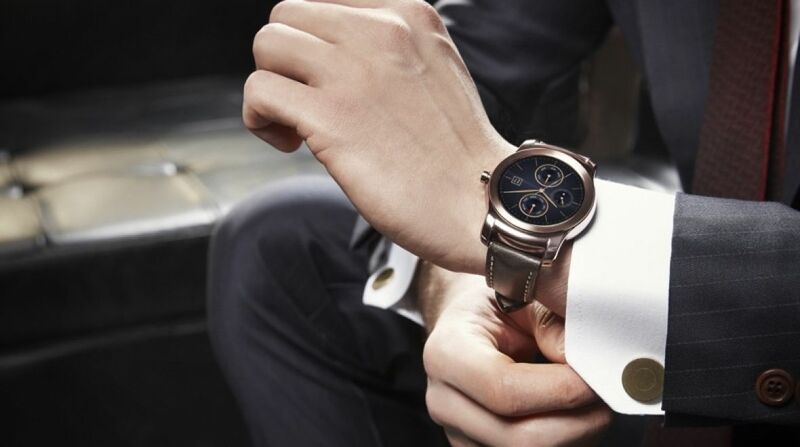 But with so much to gain, it's only a matter of time until wearables grace every workplace.